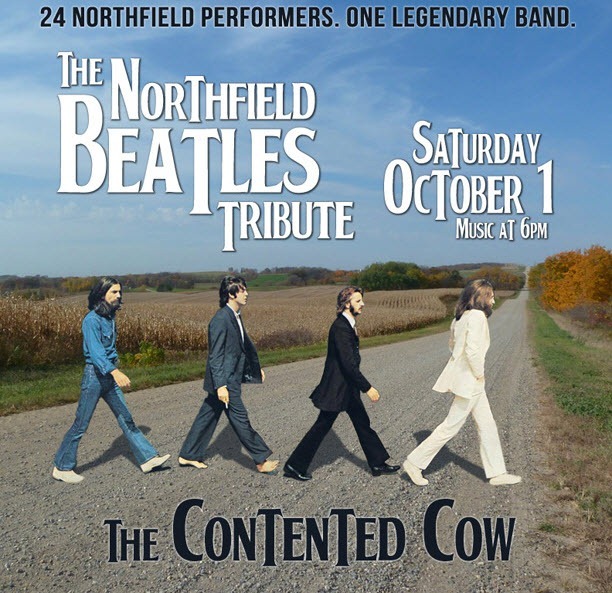 Come together for the Northfield Beatles Tribute: Why don’t we do it in the Cow? 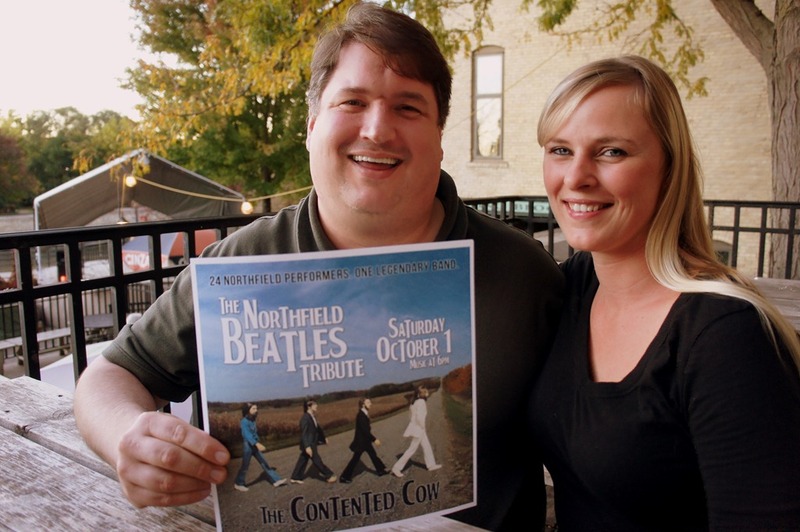 Earlier this evening I coaxed Contented Cow bartender Rich Larson and server Erica Johnson into posing with the poster for tomorrow night’s Beatles Tribute, 6pm – 11:30pm. 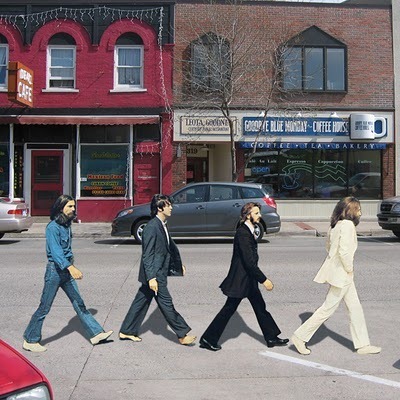 More than twenty musicians and bands are coming together for a night of brilliant music. 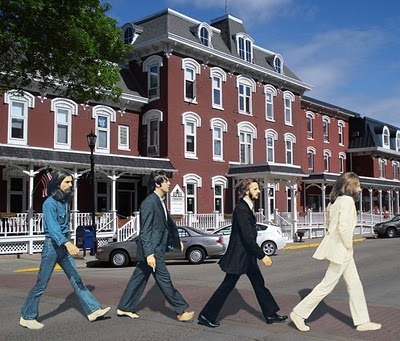 Rich performs with two other guys, Nate and Neil, at 6:45 pm. See tentative schedule here. 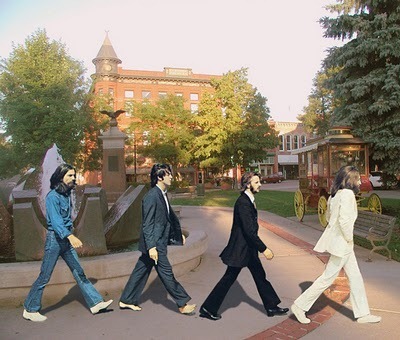 And who did that cool Abbey Road in rural Northfield poster? Poster maker Doug Bratland, a member of the Bratlanders, who I later ran into at the opening of Northfield Ties: A Photography Invitational at the NAG. 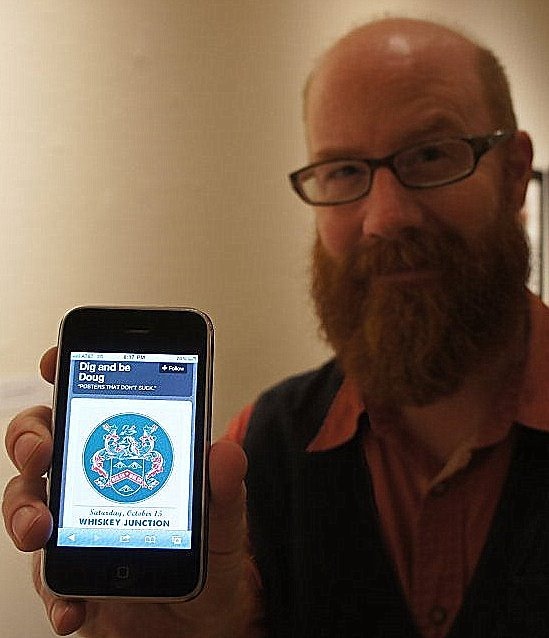 See many of Doug’s posters on his Tumblr, Dig and Be Doug.